Wavespan was formed in 2003 by Phil Garrison and Alex Lumb, two like-minded electronic musicians. Combining elements of ambient electronica, dub, hip-hop, and experimental noise, Wavespan creates immersive environments of sound. 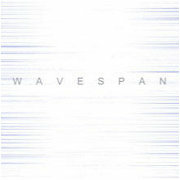 Their first release, the self titled Wavespan, was released on Monotonik in 2006 to critical acclaim. Unfortunately Alex had to relocate far away from Phil shortly thereafter, at which point Phil assumed creative control of the project. Since that time, Wavespan has released on several prominent labels, including Timetheory, Webbed Hand, Dark Winter, Treetrunk, and now, Earth Mantra. We are very excited to be able to bring the evocative music of Wavespan to our listeners and hope to hear much more from this artist in the future.